NOTE: When booking in advance you must take your receipt with you to show proof of payment to the DoC Warden. If you cannot show proof of payment, you will likely be required to pay again by them. 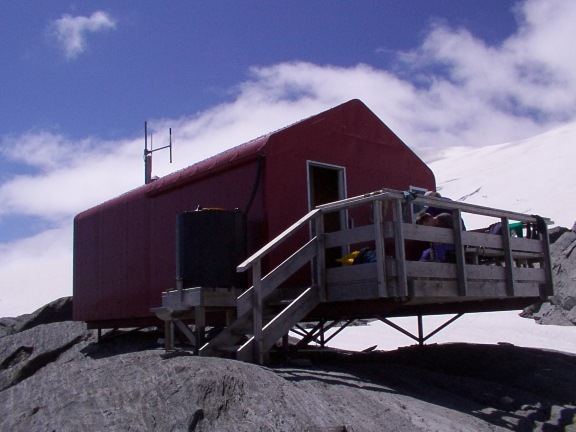 One of the most well-loved climber’s huts in the country, this cosy little red alpine refuge from the weather is perched right at the base of the classic north west ridge of Mount Aspiring. 1,800m on Shipowner Ridge 300m below junction with NW ridge of Mt Aspiring, Mount Aspiring National Park. 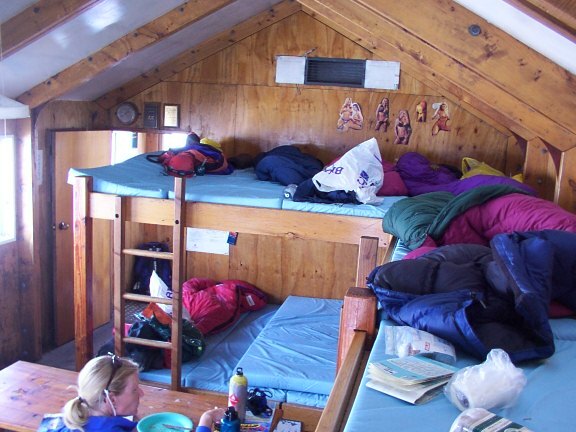 12 bunks, DoC radio, water tank, and toilet. From Pearl Flat up west bank to head of valley. 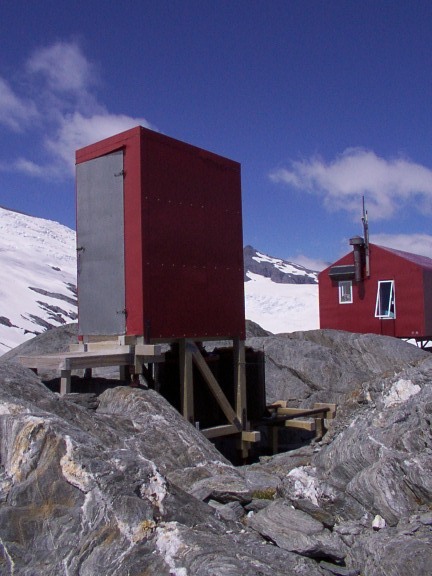 Then up waterfall and slabs to Bevan Col. Across Bonar Glacier. From French Ridge Hut over the Quarterdeck and down Bonar Glacier. 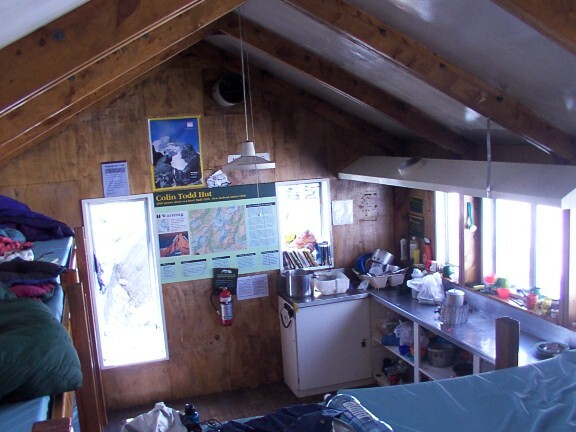 Hut fees payable online by credit card or bank transfer (NZ accounts only) – see above, to Aspiring Hut Warden (when resident) or the Department of Conservation Wanaka.